Adopt a hydrant with our fire hydrant markers and hydrant marking solutions ! They are so adorable and irresistible! year after year, feeling neglected. money and awareness for YOUR town's efforts! adopts a hydrant or hydrants. Blocks can get together and "Adopt" every hydrant on the block! They take pride in "their" hydrant and make it look nice, and you can set up the program anytime! leaf bags in the fall, or with reminders to shovel out hydrants in the winter! We can set up a program where when a hydrant is adopted, a Hy-Viz Marker is installed. This will help pay for the marker while promoting a great community based relationship! We even supply free "Adoption Certificates! ", flyers and more!  Click here for a sample "Adopt-A-Hydrant" page we can set up for free! that their "adoption" means something and they are helping the community. They have something that they can actually see as proof of their efforts. - This also keeps the hydrant marker neat and looking great since it is "theirs"! The adopters' look out for their adopted hydrant's appearance. It's a great teaching tool for Fire safety, 911 and hydrant awareness. The hydrant clear of debris and vegetation for you in the warmer months. Hy-Viz Markers can be made into ANY color - they can choose the colors if you allow! Vandalism is decreased, and now it has a GREAT Hy-Viz marker on it! Perfect for school projects, boy/girl scout projects, civic group projects, fundraising & more! Year-round marker awareness with our hydrant markers AND someone to watch over it! All content for your town, and programs - just tell us what you want on your page. We design a flyer for your town, and download it to you for printing. Free "adoption certificates" that you can give to people who join program. Custom Labels that are placed on marker stating "Donated By - "
when "Adopting" persons or company adopt 10 or more! you can very easily offset the cost of the already affordable Hy-Viz markers! with all the adopters information- Easy! please contact us and we would love to discuss this with you!